North Korea has a reputation of behaving badly for decades. Knowing that the former President Obama was soft and was all talk but no action, the North Korean leader Kim Jong is taking some wrong steps apparently thinking that it will be the same with our new president Donald Trump. But what happens when Donald Trump proves to be all action? The releases would meet some of the US’s demands for Pyongyang to demonstrate sincerity before a historic meeting between President Donald Trump and North Korean leader Kim Jong Un. We heard it through our sources in North Korea late last month. We believe that Mr Trump can take them back on the day of the US-North Korea summit or he can send an envoy to take them back to the US before the summit,” said Choi Sung-ryong, who campaigns for the release of detainees in North Korea. Kim has time and time again committed himself to denuclearization and not called for the withdraw of US forces from the peninsula, nor has he demanded the US stop military drills with South Korea in exchange for a freeze in his nuclear and missile testing. North Korea operates several prison camps that have been compared to Auschwitz, the former Nazi concentration camp in Poland. 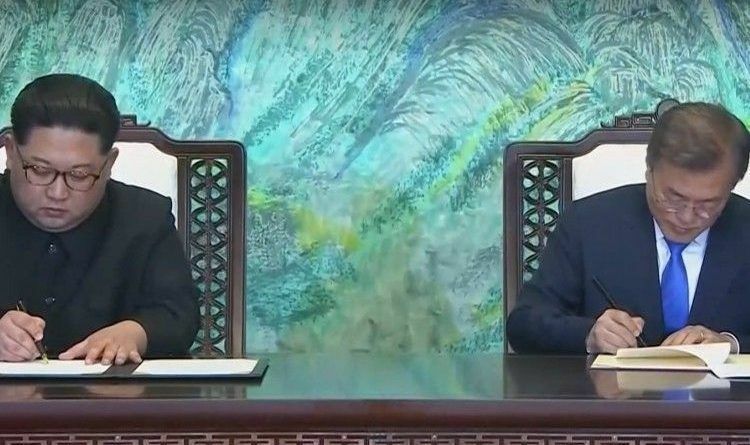 North Korea has indeed released the three Americans and is preparing to give them to the US, it would represent the latest concession Pyongyang has agreed to make ahead of a summit with Trump. Trump does it again! He deserves a peace prize for just this! Finally, the right man for the job. Thank heavens this wasn’t Hillary… the last time a Clinton dealt with NK, we ended up right where we are now.